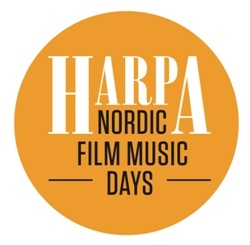 The Nordic Film Music Days is a five-year-old, annual event that is hosted by a different Nordic country each year. It’s mostly a convention for the industry, consisting of film composers, students and directors. 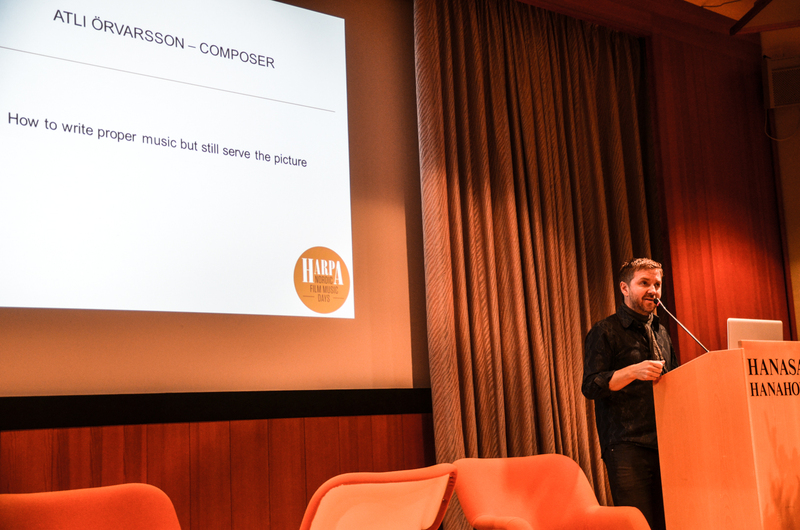 Its aim is to provide a forum for exchanging experiences, creating ties and updating oneself on what is happening on the Nordic film music scene, and all aspects of film music in general. Helsinki was the host city this year. From August 29th-30th we were treated to a series of seminars, ending in a film music concert on Saturday evening. 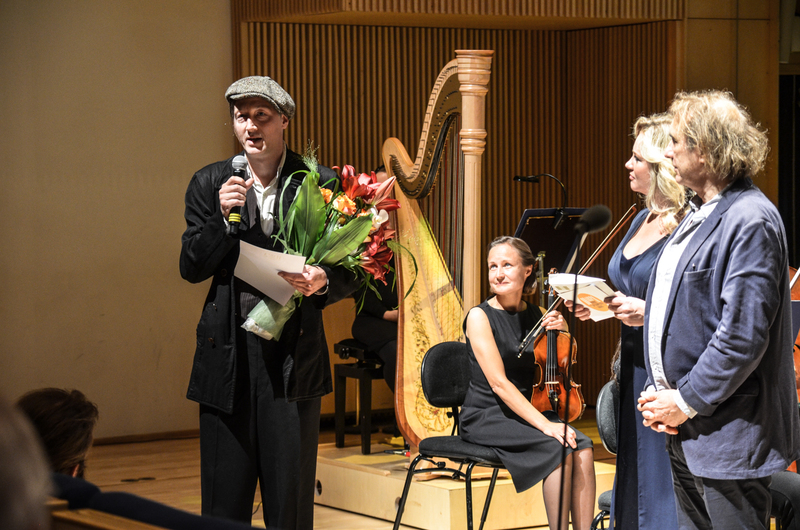 During this concert, the annual HARPA Award was given out to the best Nordic film score of the year. All the seminars took place at the Hanasaari Hotel, located on a scenic peninsula by the freeway between Helsinki and the suburb Espoo. However, the contents of the seminars themselves varied in quality, as they did last year in Trondheim, Norway. Some things worked very well. Icelandic composer Atli Örvarsson shared his experiences in the industry and with Hans Zimmer at Remote Control with a calm demeanor, even though the technology didn’t work properly when he was supposed to show clips from his recent historical epic The Eagle. These technological glitches were unfortunately a recurrent feature during the seminars. 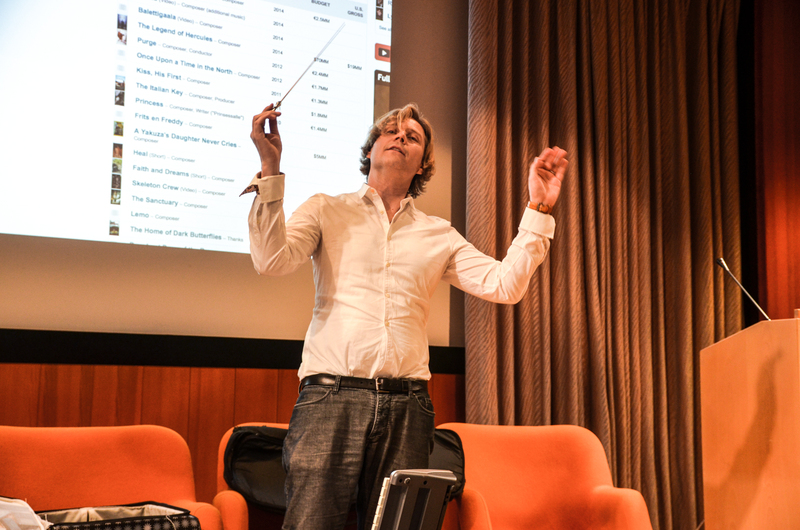 Finnish composer Tuomas Kantelinen provided what was almost a stand up-show in his segment, playing on his keyboard on-stage, air-conducting with his baton and telling us about the importance of packing your bags correctly when you’re traveling. Whimsical in structure, but very charming. 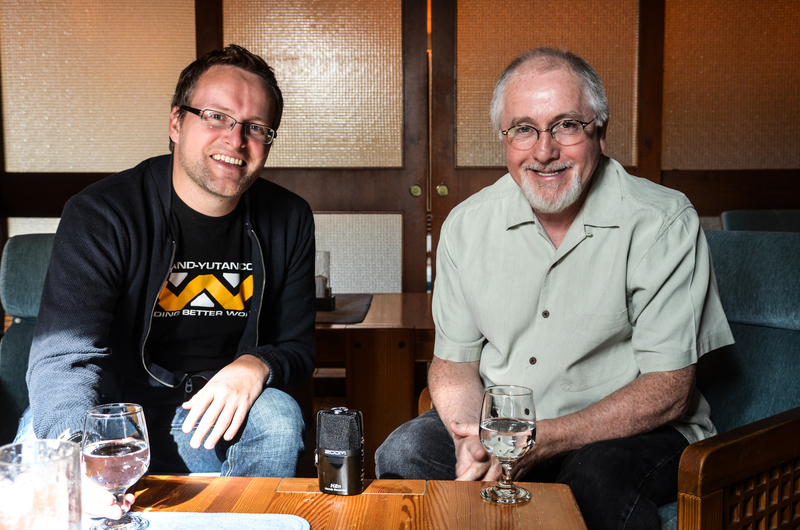 Similarly, top guest Patrick Doyle shared his thoughts on the art form (and the challenges within) in his usual affable and entertaining style, making full use of his experience with acting. Illustrative clips were shown from his debut score Henry V, Hollywood blockbuster Rise of the Planes of the Apes and the Pixar-animated Brave. 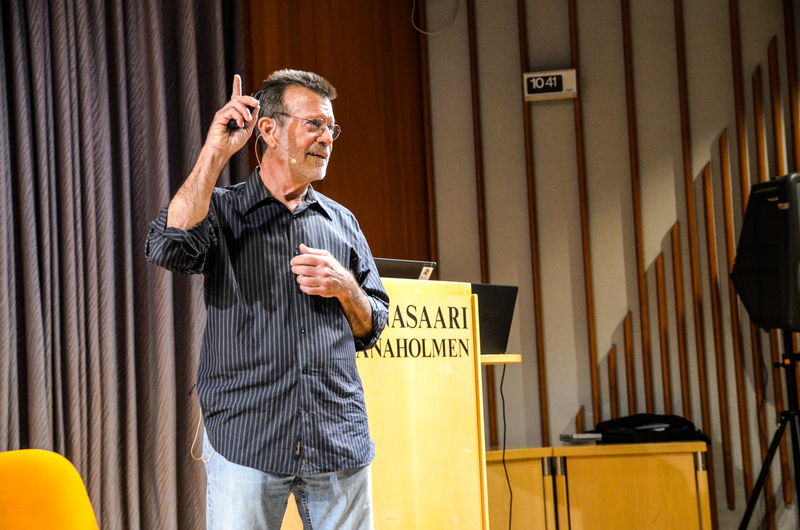 American composer and lecturer Richard Bellis, still best known for his score to the television film Stephen King’s It, was another great feature – a very slick and professional lecture with teleprompters and high-end Powerpoint presentations focusing on the issue of creativity and deadlines. Other segments did not work that well for a variety of reasons. Perhaps the weirdest experience was the half hour with Finnish musician Ossi A. Kallioinen. The topic was allegedly how the body remembers emotions, but he never reached any useful conclusion about anything, perhaps due to language difficulty. Instead we were treated to a clip of Elvis singing Love Me Tender, a group of people eating a monkey brain and some skimpy-sounding MIDI clip that could have come from 1992. At the end, everyone in the audience wondered what the hell they had just witnessed. But it was entertaining in a sort of psychedelic, performance act-type sense. The highlight of the event was unquestionably the film music concert at the Espoo Cultural Centre, with Atso Almila conducting the wonderful Tapiola Sinfonietta (not the most famous orchestra in Finland, but impressively tight in their performance, especially the string and brass sections). On the program was a selection of cues from Finnish film music history, followed by suites from the honorary guests, including Atli Örvarsson’s Colette and Patrick Doyle’s gorgeous violin romance from As You Like It. 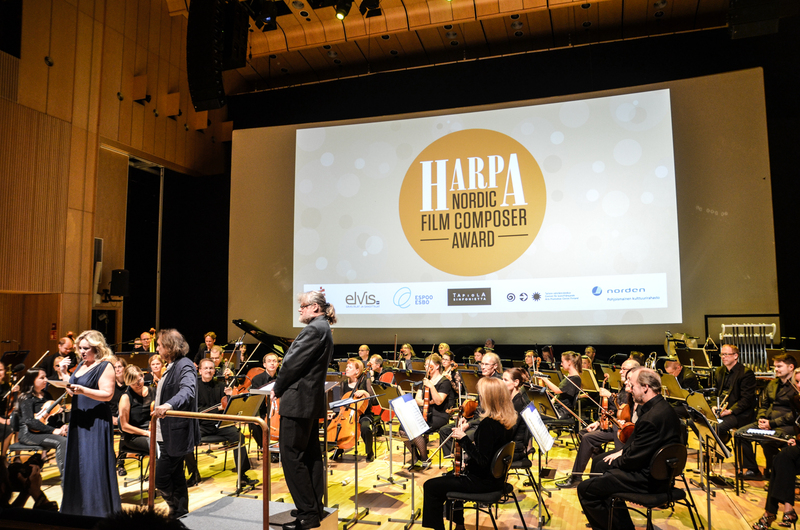 Finally, it was time for the HARPA Awards for best Nordic film score in the preceding year. The HARPA calendar system is a bit strange, since some of the nominees hailed from early 2013 , but as we were treated to lengthy suites from each of the five scores, it’s hard to question the selection. The nominees were Iceland’s Pétur Ben for Metalhead, Denmark’s Kåre Bjerkø for Skytten, Swedish Matti Bye for Faro, Finnish Samuli Kosminen for American Vagabond and Norwegian Magnus Beite for Ragnarok (represented by sound designer Christian Schaaning for the occasion). Except for Beite’s more traditional adventure score, all the nominees operated in a very soft, melancholic and textural style – the Nordic “trademark”, in many way. Eventually the winner was announced – Matti Bye for his gorgeous score to Faro. While there are some small adjustments to be made, if this is to compete with the other film music festivals on the European continent, there’s no denying the talent involved in Nordic film music and the need for such a forum to exist. Hopefully, it will continue to grow and improve over the next years. All photos below by Norwegian composer Eirik Myhr.